theatre Y's applied theatre programme has reached out to a number of organizations and institutions. we work with educational institutions, government and non governmental organizations and corporate organizations, helping them to develop scripts and productions relating to their area of work. we invite you to browse through the range of work we have done. theatre Y has started a training programme using theatre and the arts for physically and intellectually challenged children from vidyanjali school, who suffer from cerebral palsy, down’s syndrome, autism, and other learning difficulties. we are raising funds to support the work at vidyanjali. email us on showup@theatrey.com if you would like to support our work with vidyanjali. want to commission a street play? In order to create awareness for the stand against poverty campaign in 2009 and 2010, the united nations millennium campaign commissioned theatre Y to perform and conduct workshops at a number of locations in new delhi. theatre Y performed poetry relating to the 8 millennium development goals. the focus of the reading was simple, to make the youth aware of the MDGs and the stand up campaign on international day against poverty. the poems were bilingual and the performance ended with the recitation of a pledge written by theatre Y. The group urged the audiences to plan their own stand up events during the campaign days. during these performances, unnati features, a delhi based entity also promoted a competition ‘mera india, bridge the gap’. theatre Y also performed ‘realitY’ – adapted from the monologues ‘hidden fires’ written by noted playwright manjula padmanabhan and peace pod – a dramatized reading of poems, stories, speeches related to peace and the MDGs including citizens actions against poverty for the jashn-e-aman peace festival in new delhi. 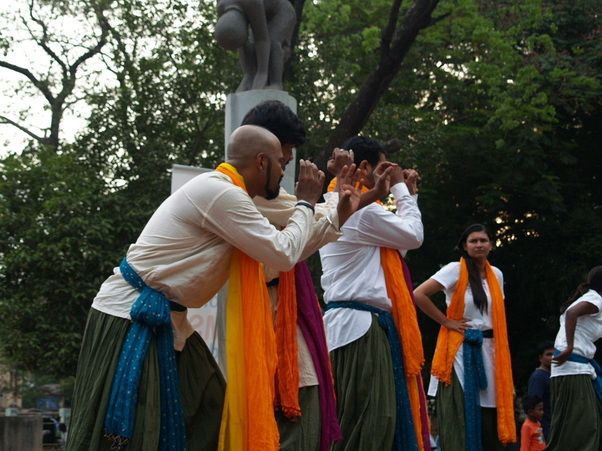 the performances were held at various locations in new Delhi including the indian Institute of mass communication, vasant valley school, sri venkateshwara college, kirorimal college, lady shriram college for women, faculty of arts, new delhi, nizamuddin west eesident’s welfare association, bal bharti pitampura, and the nehru memorial library. In 2008, theatre Y was commissioned by the united nations in colombo, sri Lanka, to conceptualize and perform at a festival celebrating the spirit of volunteerism at the United Nations Volunteers Day. At the festival, held at the Lionel Wendt Auditorium, theatre Y performed realitY, five powerful, hard hitting monologues by manjula padmanabhan. Also performed was ‘okri jam’, conceptualized and directed by yog japee. theatre Y was also involved with the back stage work and lighting of the entire event, including the design of the event logo. As part of the festival, theatre Y conducted a theatre workshop for the rotary club of colombo and held a separate performance of realitY for them. actors from theatre Y recorded a series of audio plays developed by nalandaway for a corporate client as part of a training package for new employees who are visually impaired. theatre Y directed the play “sleeping beauty” for the annual day of vidyanjali school, a school for special children with physical and intellectual learning difficulties. we have now started a long-term training programme with vidyanjali, using theatre and arts in the classroom. theatre Y was commissioned by the madras dyslexic association to train teachers to incorporate theatre and art in the classroom, helping them to find new techniques to teach children with learning disabilities. commissioned by the hindu group of publications, theatre Y performed in a series of shows as a precursor to the hindu lit for life literary symposium. celebrating the spirit of literature, theatre Y presented a dramatized performance of stories from around the world. the performances included pieces where stories were told in english, tamil, and through just sounds. the performances were at various public venues including: jbas college for women, the farm, alliance francaise, women’s christian college, the asian college of journalism, the national institute of fashion technology, gatsby village, ethiraj college and pappadum. a reading of the shortlisted entries for the hindu literary prize was also performed during the festival. theatre Y performed a poetry reading celebrating women at radio mirchi's pudumai penn celebration of international women's day in 2013. ten women achievers were awarded for their contribution to society. theatre Y scripted and performed a street play to spread awareness about multiple sclerosis in six public locations in the city. the play was performed for the multiple sclerosis society of india. theatre Y was commissioned in 2008 to perform at the image auditorium in Chennai at ‘nutrifeast’, an all-india nutrition conference that had delegates and students from all over India. The play was scripted and performed by theatre Y.
the students from the theatre club of vidhya niketan, trained by yog japee, conceptualised and directed a play – 'health and hygiene', as an entry to the national science drama festival. theatre y trained the group to prepare for the national science drama festival in kolkata, organised by the national science museum and the ministry of culture in association with vishweshwaraiya institute of technology- bangalore. the group went to the finals and emerged as one of the top performers in the national festival at kolkata. Since 2009, theatre Y has worked closely with vidhya niketan school, coimbatore, to set up the theatre club for the entire school. We have trained over 200 students of the school, ranging from the age of 7 to 18. every year the training culminates in the annual day production where the students put up a play. theatre Y’s interventions have helped the children to script, direct and act in the plays and over the years a number of plays have been performed, not only in the school but at public venues as well. read more about vidhya niketan's shows. Theatre Y conducted a theatre workshop for college students along with pravah youth collective in 2010 to train them in theatre techniques and skills to help them initiate and develop inter-college theatre ensembles. theatre Y performed a series of short interactive plays for the children from vedanta academy, coimbatore, as part of its theatre club outreach programme. since 2011, theatre Y has conducted regular theatre training workshops for the vaniyambadi muslim educational society and the anjuman-e-himayath-e-islam matriculation school (chennai). the programmes are part of the access outreach programme of the us consulate general chennai, which manages the programmes in south india for the office of english language programs at the u.s. department of state. the “english access microscholarship program” provides a foundation of english language skills to non-elite, 14 - 18 year old students through after school classes and intensive summer learning activities. through our theatre workshops we have helped the children to overcome their inhibitions in speaking english and helped them develop their overall communication skills, an important part of learning a new language. theatre Y conducted a theatre based workshop with student leaders from pravah, a delhi based non governmental organization, and the united nations millennium campaign, to discuss and brainstorm on how to address various social issues, using theatre as the medium. the session was conducted at the united nations. an acting workshop with street children in new delhi for jamghat, a non-governmental organization, in collaboration with sweccha, an ngo working on environmental issues. the children were trained in street theatre skills to spread the message about environmental issues in the context of the millennium development goals. a public performance was held by the children at dilli haat following the workshop. as part of the united nations millennium campaign's stand against poverty campaign in 2010, theatre Y conducted street theatre workshops for child fund india, an ngo working on children's issues. youth and children from various rural villages in north india were trained in street theatre techniques to help them raise key development issues within their communities such as sanitation, education, girls’ empowerment, and equality. theatre Y conducted a theatre training programme for 20 teachers of vidya vanam, an elementary school for children from tribal and underprivileged families, all first time learners living in rural India. The teachers were taught to use theatre techniques in the classroom. theatre Y conducted a street theatre workshop with volunteers from the pravah youth collective, in association with the united nations millennium campaign. the volunteers, who were going to rural areas for a year to work on development issues as part of their field visits, were trained to use street theatre techniques in their field work.